There are as many reasons to love the Camino de Santiago as there are pilgrims. Everyone has their own personal Camino and there is a Camino for everyone. When was the last time you got up in the morning and your only focus was to walk? For a whole week, for a whole month or even longer… On the Camino, there is one simple goal for days and weeks on end: getting to the next stage, to the next bed. Putting one foot in front of the other becomes a simple but really powerful act of mindfulness. It is therapeutic, cathartic and it gives us an incredible sense of freedom. Head space, switching off, time to think… almost every pilgrim we’ve met mentions this as one of their top reasons they enjoyed and loved the Camino so much. The people you travel with, friends you make along the way, fellow pilgrims, friendly locals… people ARE the Camino de Santiago. Random acts of kindness abound and will restore your faith in humanity. This is the spirit of the Camino. 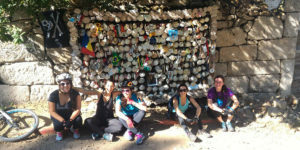 Exchange of cultures and ideas among different peoples and nationalities over centuries made the Camino a UNESCO World Heritage Site. This is why. If you think about it, every single pilgrim on the trail is part of living, breathing history. Pilgrims have walked these same trails to Santiago for hundreds of years, towns and cities were built to protect them on their way and now you are joining in and following in their footsteps. How amazing is that? Food is one of the biggest pleasures in life and, also on the Camino. Each region will welcome you proudly with its own flavours. From the mountain cheeses of the Pyrenees to the tapas of Burgos city and Galicia’s famous seafood, enjoy each single bite along the way. You’ve earned it. Some pilgrims might even go as far as saying the Camino changed their lives. It might not be entirely life changing for us all but we all agree with the fact that the Camino teaches us some very valuable life lessons. Many of these simple and yet essential life lessons we tend to take for granted while we get distracted in the general business of carrying on with life. Lesson number one: enjoy the journey! 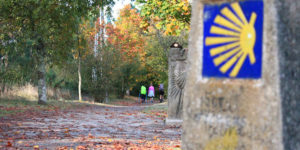 ‘The Camino provides’ is a common expression used by pilgrims, to express the fact that things will always work out in the end. The Camino will throw some challenges your way but also many solutions! This is another reason the Camino stays in pilgrims’ minds and hearts for a very long time after the trip. You might catch a flight back home, miles away from the Camino but the Camino will stay with you. Possibly forever. You can get the pilgrim out of the Camino but you can’t get the Camino out of the pilgrim. 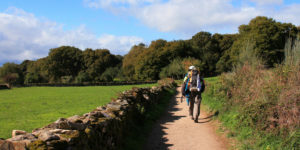 In fact, many pilgrims get back to the Camino and walk many different routes over the years. Chances are you will be back sooner than you think. Thank you for sharing your thoughts, Vincent! Endorse every comment you have made. Many acts of generosity and a palpable feel of community spirit filled my week’s walking. I will be back.